Black-ish is nominated for Best Comedy Series at the awards show. 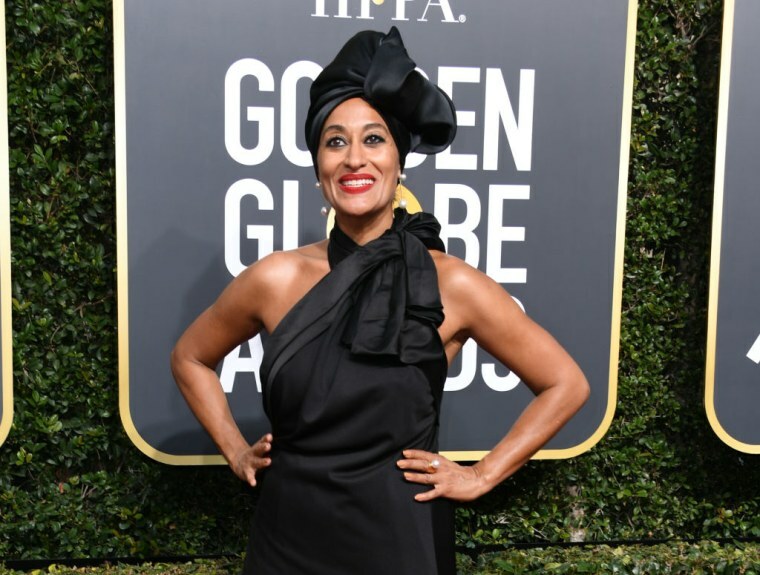 As usual, Tracee Ellis Ross looked stunning and refined at the 2018 Golden Globe Awards. The actress wore a black Marc Jacobs gown and head wrap, joining other actresses and actors who wore all-black attire to protest sexual assault and harassment. In an interview with ET on the red carpet, Ross said, with her fist in the air, "Time's up on a lot of things." Black-ish, the ABC sitcom starring Ross and Anthony Anderson is up for Best Comedy Series at the awards.